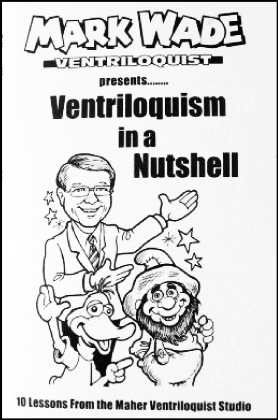 #1 DVD for teaching kids and adults how to be a successful ventriloquist. 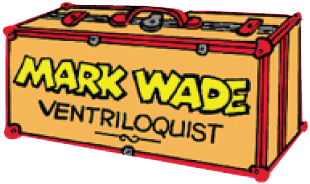 50 minutes of easy-to-follow instruction and demonstration by Mark Wade, master performer and teacher. Taped live. Learn how to speak without lip movement with voice characterization for the puppet/dummy. Learn to manipulate the figure in an amazing, entertaining and lifelike manner! Mark Wade demonstrates and explains advanced professional ventriloquist techniques and secrets: distant voice (voice "throwing"), baby cry, comedy tips, advanced manipulation and more! Laugh as you earn! 50 minutes. 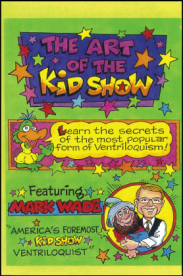 Outstanding 50 minute DVD on which Mark Wade tells you the various secrets of successful kid show performing. As one of America's foremost professional kid show performers, Mark then shows you with live performance (taken from one of his shows) how it is done. This is a valuable money-making resource for any kid show entertainer! 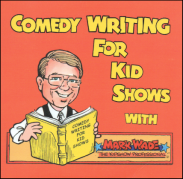 This is Mark's latest book on performing for kids and it's loaded with great ideas on marketing, handling show situations, comedy, and much more. This beautiful 106 page book is in full color and has seven never-before published scripts, plus eamples of Mark's personal mailing postcards used in booking schools and libraries. The advise is spot on and it will help you become a GREAT children's performer . Learn from the best performer in this market today! 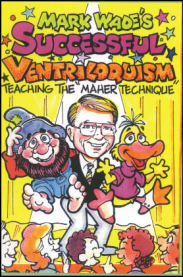 The BEST BOOK on the market for starting ventriloquism!! !Learn easy and fast! Ten complete lessons for self-instruction in the art of "voice throwing". Learn the secrets of the pros. Easy to follow step-by-step instruction compiled and edited by Clinton Detweiler (signed). This is the new 2008 edition. Illustrated by David J. Miller. 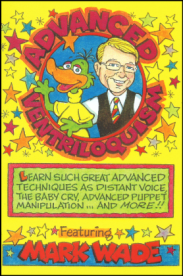 Contents include: Voice Breath Streams and Voice Contrast, Ventriloquist Mouth Position, Ventriloquist "Dummies", Lifelike Animations and Figure Manipulation, Speaking Without Lip Movement, Punch Lines, Timing, and More. For ALL AGES. Kids Know What's Funny ...And So Should You! Especially if you are performing for them. That's why "Comedy Writing For Kidshows" is so important. 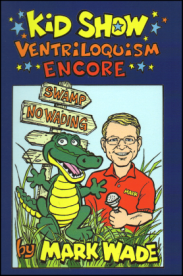 Mark Wade, "America's Foremost Children's Ventriloquist", shares some of his secrets and insights into the world of comedy for kids. In this audio book you'll learn the "Kidshow Joke Formula", joke construction, many different "spins" that will help you find the funny ... and much more! This fifty minute audio book will teach you HOW to be the best children's performer you can be. Listen and learn with a pro. You'll be glad you did! 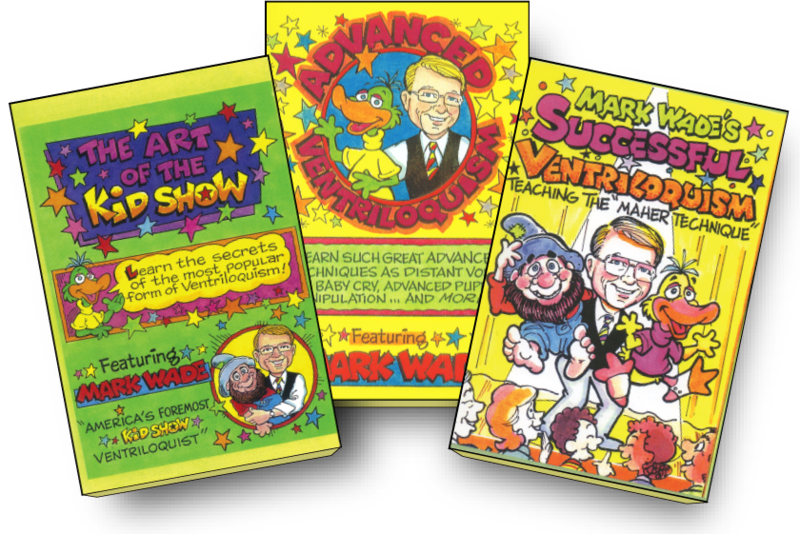 GET ALL THREE MARK WADE DVD'S FOR ONE SPECIAL PRICE..AND SAVE. All Three For Only $50.00 postpaid!